The trials to investigate control options for Phytophthora root rot on lettuce grown in hydroponics is almost ready to be harvested. There have been clear differences between treatments; root length, root colour and head size as well as filter tests on water taken from tanks of each treatment are highlighting effective treatments. An outbreak of lettuce Fusarium wilt in the UK in October 2017, caused by Fusarium oxysporum f. sp. lactucae (FOL), was confirmed as race 4. Anecdotal evidence suggests this race of the disease is agressive, especially at low temperatures. Control of FOL is particularly challenging as it produces long-lived soilborne chlamydospores and there is no known varietal resistance available. The outbreak of FOL4 therefore represents a significant threat to the UK lettuce industry. In response to this within the SCEPTREplus programme in 2018 we are working with Warwick Crop Centre and manufacturers to identify chemical, physical, and biological treatments that can reduce the impact of FOL4. These will be tested in both pot experiments and polytunnel experiments using artificial inoculation. This will ensure a consistent disease pressure required to identify effective treatments and ensure biosecurity and containment. The inoculation in the glasshouse pot trials has worked well and there are clear differences between the treatments. Initial conclusions show that Basamid and the T34 Biocontrol programme may delay onset of symptoms. 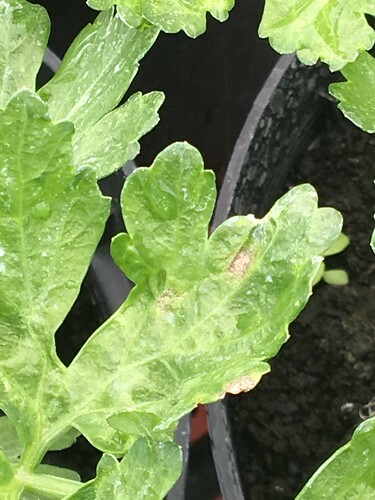 A new strain of Phytophthora infestans has been found in tomato production with symptoms affecting roots and stem rather than the classic leaf symptoms. There is concern that, even if visually cleared up, the infection may remain systemic and occur again in later season. There are limited current plant protection products which are capable of controlling this strain. Hence the need to include this high priority target in Year 2 of the SCEPTREplus programme and additional support has been provided by the Protected Edible Panel. Trials are anticipated to take place either on commercial sites or under controlled conditions, looking at protectant fungicides including the propagation stage as well as planted crops. Trials are underway at ADAS to find new control options for Septoria in celery. There is a need for new treatments, particularly seed treatments, to replace thiram. Initial symptoms of septoria are starting to show in the untreated pots with some sporulation occurring. Throughout the first year trials in 2017, trials looked at a range of control options for diseases in edible and ornamental crops. 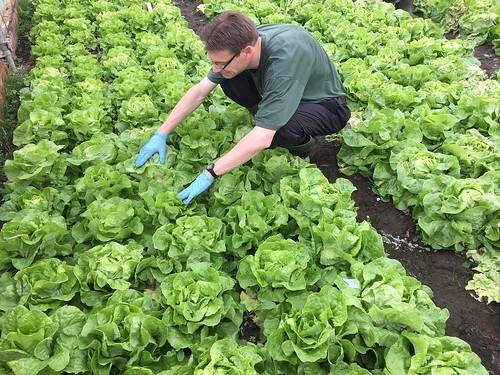 The trial at Stockbridge Technology Centre reviewed control options for Downy mildew on lettuce, but took a model crop approach so that results can be extrapolated to other crops, linked together as functional and crop safety. 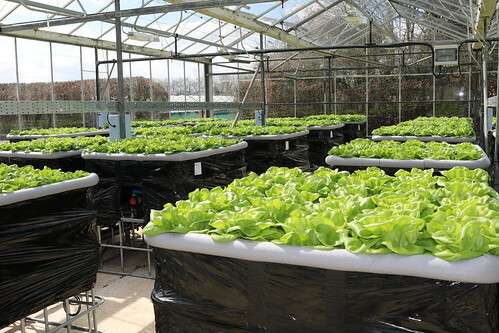 Three of the conventional and the one of biological treatments used as protectants on lettuce crops reduced downy mildew disease severity three weeks after application. Some spray deposits left by one of these products and some phytotoxicity damage resulting from another will need to be considered in future uses according to the potential for trimming / crop recovery. The preliminary results were presented at the BLSA conference in November and you can view the presentation slides here. 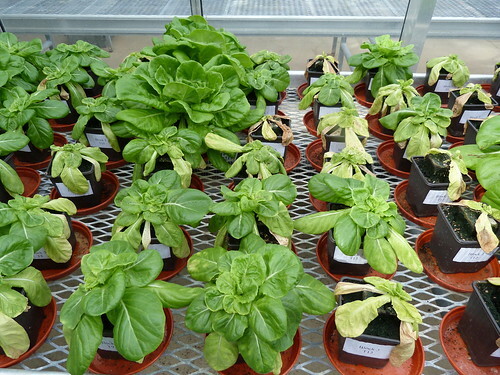 Several conventional fungicides tested in the trial have potential for future commercial use against downy mildew and should be further investigated, for efficacy and crop safety, in protected lettuce and other susceptible crops where downy mildew is a priority target. 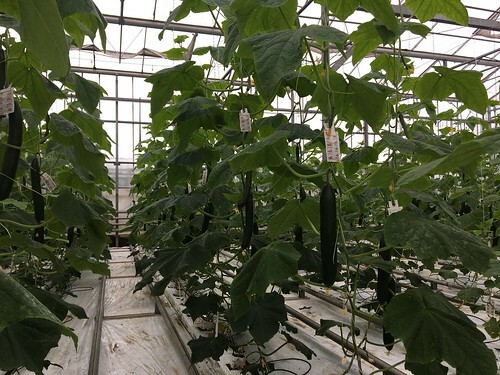 Pythium root rot trials were undertaken on cucumber at Stockbridge Technology Centre, but again, are taking a model crop approach. One new conventional pesticide (AHDB 9958) and one biopesticide (AHDB 9967) significantly reduced disease symptoms in the trial. One product (AHDB 9963) led to severe phytotoxicity which was linked to difficulties with calculating application rates for its use as a drench in hydroponic systems where there is little buffering in the inert substrate. This is likely to be a complication for other products and we recommend taking particular care with application rate calculations in this scenario. Further work under higher disease pressure would be necessary to better evaluate the performance of promising candidate products to ensure both efficacy and crop safety during higher temperature periods. The results of this trial are already guiding product choices in SCEPTREplus Year 2 projects including field vegetable work (SP 37) and further protected edibles work on root diseases (SP 21). It is also expected that the results will contribute to product choice in crop safety work in the ornamentals sector (SP 33). Trials for the control of botrytis on stored cabbage are underway at the Allium and Brassica Centre. Monday 27 November: All the cabbage was weighed and loaded into the separated wooden bins and then treated. After holding the boxes at around 8C for 48 hours the boxes have subsequently been placed into cold storage and were reduced in temperature down to a holding temperature of around 1C. It was intended to hold the cabbage at 10C to help the biologicals to work, but the weather and the cabbage was just too cold!